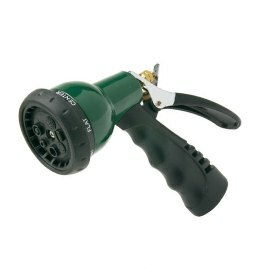 The Niagara N2157A Water Miser 6-Position Garden Hose Nozzle Metal Handle, Commercial Grade saves water through peak efficiency settings – these nozzles won’t break! Packaged 50 per case. Contact our office if you wish to purchase any quantity less than a case of this item. View other Niagara Conservation products. Contact us if you find Niagara Conservation™ products available for less elsewhere online. WaterWise Technologies will match or beat any regular published price offered by other distributors. Purchase orders are accepted.